Store any temporarily cached simulation data as a bake. Note that playing the animation will try to simulate any visible physics simulations. Depending on the physics type, this data may be temporarily cached. 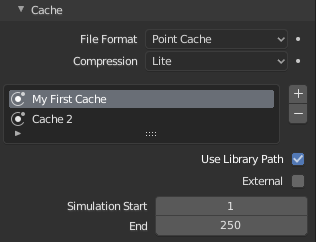 Normally such temporary caches are cleared when an object or setting is modified, but converting it to a bake will ”save” it.